I used one of my favorite products from the new release for my card, the Concentric Circles Stencil. This stencil is so versatile, I’m using it on everything these days! I sponged on Distress Inks in Picked Raspberry, Squeezed Lemonade, Twisted Citron and Mermaid Lagoon. Thanks so much for stopping by! I hope you’ll join us this month, we love to see what you create! 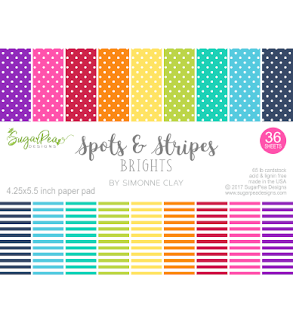 It’s time again for the Sweet2Repeat Blog Hop at SugarPea Designs!! The design team has come up with some new projects featuring the latest release! For my card I used the new Concentric Circles Stencil. This is one of my favorite items from the new release because it makes creating stunning designs super quick and easy! For my card I simply sponged Squeezed Lemonade Distress Ink over the entire stencil, then added Twisted Citron in a smaller circle, then Peacock Feathers in the center. I shifted the stencil a bit between each color so that the lines radiating out from the center would be yellow instead of white. I added the Celebrate SugarCut to the center, and the sentiment is from the Celebrate All The Things stamp set. These three items (under $27! 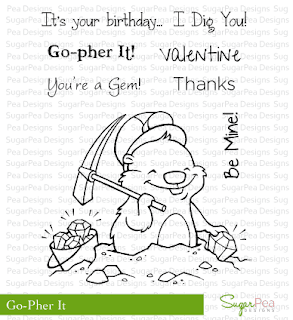 (+s&h) will be the perfect addition to your collection, because you can create unlimited birthday cards with these supplies by changing up the colors and sentiments, or adding some of the other fun elements from the stamp set for more designs! 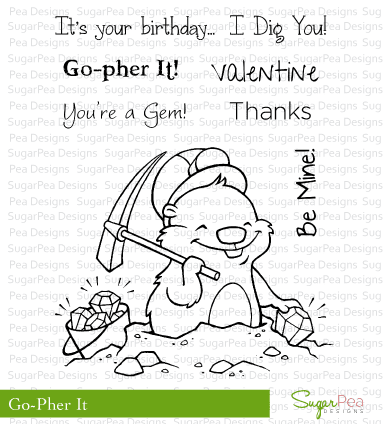 Would you like to WIN a $20 gift certificate to spend on some SugarPea Designs of your own? You can visit each design team member listed below and leave a comment for your chance to win! The winner will be announced on Saturday, March 16th. Hi stamping friends!! 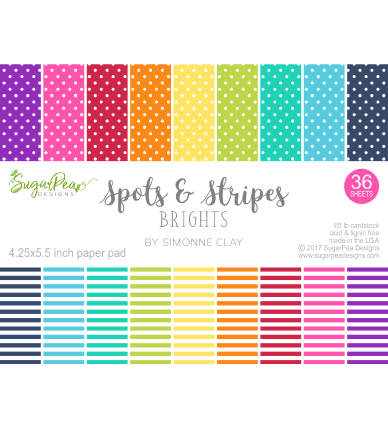 It’s day four of a very exciting week at SugarPea Designs! It’s Sweet Peek Week, and tomorrow’s the big day that all the new products will be available for purchase (at 6 p.m. Eastern Time)!! Today we’re highlighting a new stamp set called Easter Wishes, the Easter Word SugarCut, and the Egg Window SugarCut. To create my card I used the bunny from the Egg Window Sugar Cut and cut out five bunnies. I pierced the paper around each bunny for a little added detail, then I adhered different colors of pastel card stock behind each bunny. This set is a great way to create Easter cards (or treats) for those special people in our lives! All of the new products will available to purchase tomorrow at 6 p.m. Eastern time, so I hope you’re got your wish list ready to go! Be sure to comment on THIS blog post for your chance to win too! Thanks so much for stopping by! Be sure to come back tomorrow for the final day of sweet peeks! Hi stamping friends!! It’s day three of a very exciting week at SugarPea Designs! It’s Sweet Peek Week, and we’ve got so many new and fabulous items to share with you!! 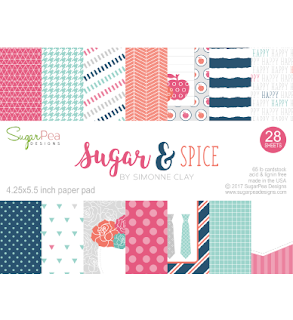 Today we’re highlighting a new stamp set called Tutti Fruiti and matching SugarCut set. This set is so much fun and perfect for many occasions! I love the sentiment I chose for my card! Everyone needs a little margarita reference in their stamping stash, right?? I created my card by sponging Distress Oxide Inks in Squeezed Lemonade and Twisted Citron on watercolor paper. Next I cut the pattern using the Large Striped Cover Plate. I added foam tape to each of the strips to create some dimension. I used foam tape under the lemons also. All of the new products will available to purchase THIS Friday at 6 p.m. Eastern time! Be sure to comment on THIS blog post for your chance to win too! Hi stamping friends!! 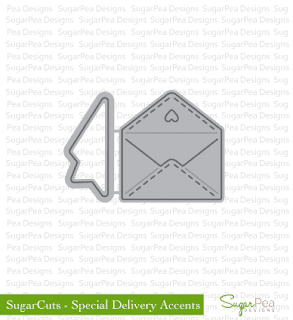 Woohoo, it’s day one of a very exciting week at SugarPea Designs! It’s Sweet Peek Week, and we’ve got so many new and fabulous items to share with you!! Today we begin with THE most adorable sets: Elephant Parade and Balloon Numbers! How cute are these little guys?!? Plus, there are SugarCut dies to match each set too! All of the new products will available to purchase THIS Friday at 6 p.m. Eastern time, so you’ve got all week to add to your wish list 🙂 Be sure to comment on THIS blog post for your chance to win too! I chose to use the Caffeine Addict stamp set along with the Large Striped CoverPlate for my card. I began with a piece of watercolor paper and applied Distress Oxide Inks in Faded Jeans, Vintage Photo and Walnut Stain. Then I spritzed on some water and dabbed it off with a paper towel. I colored the coffee cup with Copics (B91, B95, B97), then fussy cut it and applied it to the center of the circle. One of my favorite parts of this stamp set is the little heart that can be added to the center of the cup of coffee, just like in those fancy coffee shops! I added the sentiment in dark brown ink, and done! Thanks so much for stopping by! I hope you’ll make time to join us this month (plus, there’s a prize to be won! ).